So many people are becoming more health-conscious and want to keep their meals low-carb. They depend on this to lose weight and to keep it off. You have to avoid those carb sources of pastas, breads, and other baked goods. But during the holidays, it is so much more difficult to stick to this kind of diet. 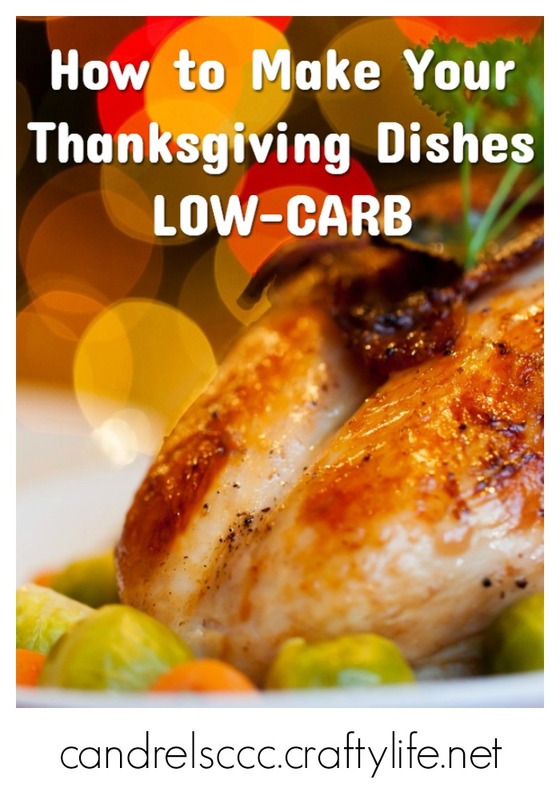 Luckily there are a couple of ways to adjust some recipes to have a low-carb Thanksgiving dinner while still enjoying some of those traditional dishes. Here are three adjustments you can make for low-carb Thanksgiving side dishes without losing the flavor. Broccoli and cheddar go together like apple pie and America. That’s why you see broccoli cheese soup at so many of the popular chain restaurants. Unfortunately, that texture that people love so much comes from flour, which is a carb. If you’re serving this as a side dish, you can easily make it a part of your low-carb Thanksgiving dinner by substituting xanthan gum for the flour. You only need a minute amount equaling less than a 1/2 teaspoon to achieve impressive effects. I’ve never been to a Thanksgiving dinner that didn’t have stuffing. My mother’s recipe was always a family favorite. The only problem is, traditional recipes include bread, which defeats the purpose of trying to maintain a low-carb Thanksgiving dinner. So how do you get around it? Simply leave out the bread. Instead, chop up sausage into small pieces. Add the chopped onions, peppers, celery, water chestnuts, whatever else you like to put into your stuffing. Season it with black pepper, salt, and garlic. Stir in eggs. Place the mixture into a shallow 2-inch glass pan and brown it in an oven set at 350 degrees. It’s ready to serve immediately. Mashed cauliflower is a great substitute for mashed potatoes, and you hardly can tell the difference. Use a small pan to fry some garlic and rosemary for about three minutes over low. When they start to smell strong, set them aside while you boil some cauliflower. Once softened, mash the cauliflower with a masher. If you really want a thinner consistency, you can use a mixer or a food processor. Remember to stir in some butter or cream and then season with salt and pepper as desired. Finally add the rosemary and garlic. Now you have another flavorful, satisfying side for your low-carb Thanksgiving dinner. Do you want to add some other healthy dishes to your Thanksgiving meal? Try some of these and let us know in the comments what your favorite dishes are. Oh! Can I please have dinner by your house?? Everything sounds delicious!! The Broccoli Cheese soup would be all gone if I were there! Thank you so much for sharing!! Sure! lol Although you may have to battle for the soup, because that seems to be the most popular of all the dishes.